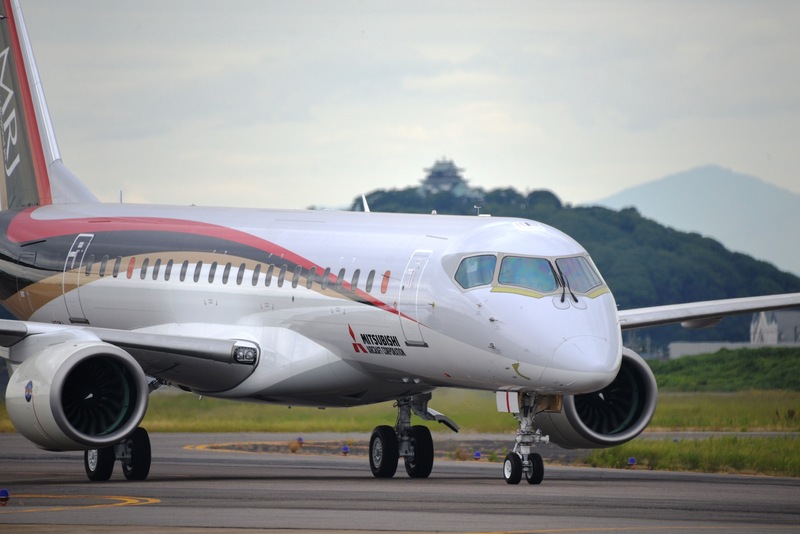 Mitsubishi has grounded its fleet of four U.S.-based MRJ flight-test airplanes following the uncommanded shutdown of FTA-2’s left Pratt & Whitney PW1200G geared turbofan while flying near Portland, Oregon, on August 21, the airframer confirmed Thursday. The airplane, flying out of Grant County Airport in Moses Lake, Washington, diverted to land at Portland International Airport “without incident,” according to a Pratt & Whitney spokesman. The engine company immediately sent a team of specialists to the site to examine the engine and assist Mitsubishi personnel with the investigation. FTA-2 had taken off from Moses Lake at 2 pm and landed at Portland International at 5:12 pm. The incident occurred in training airspace over the ocean, about 90 nautical miles west of Portland. "Safety is our first priority and per the safety protocols of our flight-test program, we will resume flights once the cause has been identified,” a Mitsubishi spokesman told AIN. “Once we have identified [the cause], we will be able to discern what impact, if any, it will have on the flight-test program.” Another Mitsubishi spokesperson told AIN that a preliminary boroscope inspection did reveal unspecified damage inside the engine. Engineers have since removed the suspect engine from the airplane and sent it to Pratt & Whitney for a thorough inspection. Meanwhile, FTA-2 received a replacement engine in Portland and Mitsubishi has flown it back to Moses Lake. The incident marks the latest setback for Mitsubishi and Pratt & Whitney, both of which have experienced multiple problems with their respective new programs. In Mitsubishi’s case, the MRJ program now lags several years behind schedule due to development hurdles, while Pratt & Whitney works to resolve its own set of in-service “teething problems” that have left Airbus operators scrambling to return A320neos to service. The flame-out also marks the second engine failure for Pratt & Whitney’s PW1000G series. In 2014 a PW1500G on the Bombardier C Series suffered a seal failure in the oil system during ground testing, stalling that flight-test program for more than three months.